Audley L. Reid a.k.a. “Reid” began his musical career 25 years ago. 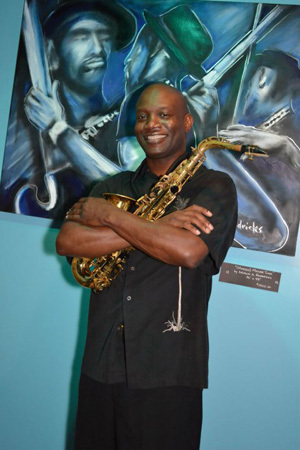 His passionate approach to Smooth Jazz magically takes listeners to an island of musical paradise, a direct result of his Jamaican/Cuban heritage. Although Jamaica proclaims Reid as a native countryman, the Windy City has been home throughout his musical career. Proficient on all saxophones, with a preference to the Alto sax, Reid has been described as a cross between David Sanborn and the late sax genius Art Porter, but with his own distinct style. 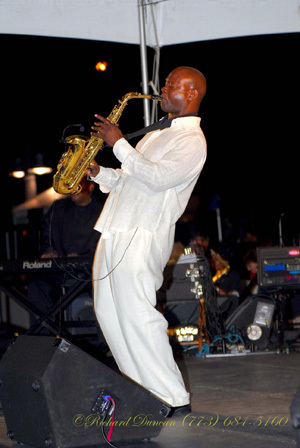 He has performed with several entertainment greats including Buddy Guy, Phil Perry, Michael White, Kim Fields, Ray Fuller, Mike Mason, Nick Colionne, Howard Hewett, A.J. Brown, Joe Williams, Melvin Miller, and Norman Connors. 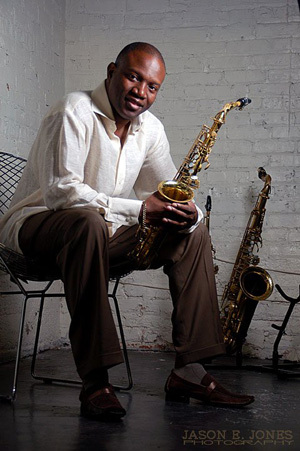 Reid’s saxophone styling has afforded him tremendous opportunities throughout the United States as well as in Mexico, Asia, Canada, Europe and Jamaica. Reid’s solo and group performances with various bands, including his own fittingly coined “LEVERAGE,” have delighted audiences at a multitude of social galas, venues and events. These include Will Downing, ETA Music Monday, Michael White Smooth Jazz Explosion/Class Act Entertainment (Everette Harp, Jeff Gollub, Maysa, Waymon Tisdale, and Phil Perry), V. Holmes "Tribute to the Motown Greats," Universal Soul Circus, Northern Trust Bank, Flossmoor Country Club, the Boys and Girls Club, the 2005 “Taste of Chicago,” Chicago’s new jazz and comedy club, Jokes and Note, Close Up 2 Jazz Festival, “The 2007, 2008 and 2009Annual Hyde Park Jazz Festival”, Ray Parker Jr., Michael Henderson and Vivian Green. The Audley Reid Jazz ensemble performs all styles of music (Straight ahead/Swing and Smooth Jazz). To book Audley Reid Please contact Lisa Darden at lisa@huptalentandbooking.com or call 240-446-1554.